I’m sure there’s a pair of white jeans lurking in the back of your closet, waiting for spring, but as these outfit ideas show you, they’re equally versatile in the winter. They are crisp and classic and go with pretty much everything to pretty much everywhere. With a piece this simple, the details really matter, so make sure they’re sleek, clean and bright white. Rips at the knees are optional. 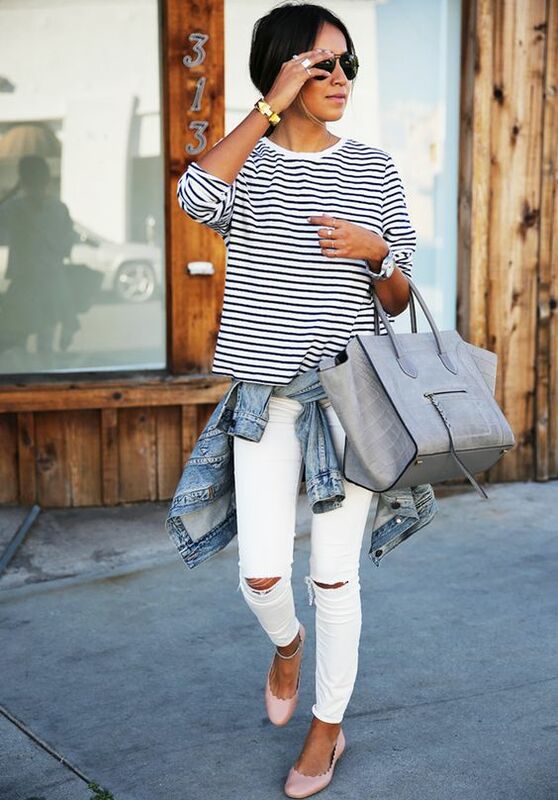 While skinnies are the most common style, you can also find white jeans in any denim style imaginable, from flares to straight legs to wide-legs, and they’re all fabulous if they are ankle length or longer. Here, a dozen or so ways to work those white jeans from winter through spring. This style staple is seasonless, ageless, and timeless, and it really deserves a place in almost every woman’s wardrobe. Here, the best white jeans for your budget. I hope you’re inspired to dust off those white jeans and style them all winter long!